Bellevue Presbyterian Church early building, Caledonia, Missouri, organized 1816. From RG 425. We know that Scotch-Irish Presbyterians from North Carolina were settling in the vicinity of Caledonia, Missouri, in 1807 and meeting for informal worship. In the Fall/Winter 2016 issue of The Journal of Presbyterian History, the On Holy Ground section features the grave of Stephen Hempstead in Bellefontaine Cemetery in North St. Louis (No. 432 American Presbyterian and Reformed Historic Sites Registry). Through his efforts, a number of ministers from the northeast came to organize churches in Missouri and western Illinois. Rev. Salmon Giddings responded to Hempstead’s plea for ministers. 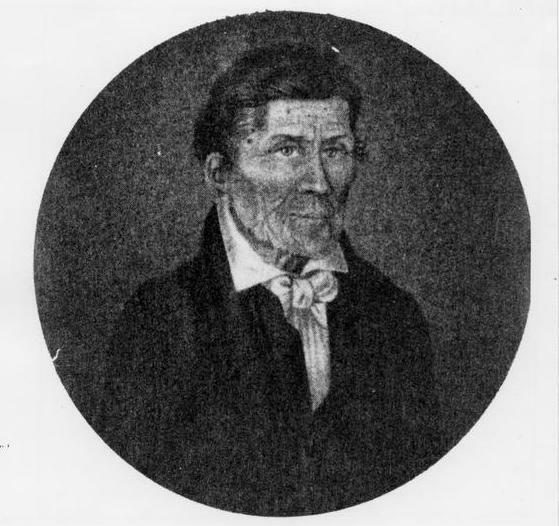 Giddings was sent west by the Missionary Society of Connecticut and arrived in St. Louis in 1816. He organized eight churches in Illinois and seven in Missouri. (The handful of other ministers who organized Presbyterian churches in the are included John Matthews, Charles Robinson, Thomas Donnell, and David Tenney.) The first Presbyterian church organized west of the Mississippi River was the Bellevue Presbyterian Church in Caledonia, organized by Giddings on August 3, 1816.The church was a settlement of what Professor Russel Gerlach, in Settlement Patterns in Missouri, described as "high Scotch-Irish" from the Carolinas, Virginia, and Tennessee; its cemetery includes veterans of the Revolutionary War. In 2016, the Presbytery of Giddings-Lovejoy celebrated the bicentennial of the church and Giddings' ministry, and what this first church represented, at its meeting at the church (dissolved in 2008). The first churches Giddings organized in Illinois were in Edwardsville and Shoal Creek in 1819. Now, in 2017, Presbyterians are celebrating the bicentennial of the Presbytery of Missouri which covered all of Missouri and Western Illinois, the churches of which are now in the Presbyteries of Giddings-Lovejoy and Missouri Union plus Bond and Randolph Counties in Southeastern Illinois Presbytery. The Presbytery of Missouri included that vast territory until it was divided in the years of 1828-32 into the presbyteries of Missouri, St. Louis, and St. Charles, plus Central in Illinois--which later became Kaskaskia. The first meeting of the Presbytery of Missouri was held on November 3, 1817, in St. Louis. Present were Revs. Thomas Donnell and Salmon Giddings and elder John Cunningham from the Bonhomme Church (exscinded in 2016), the cemetery of which Giddings was finally buried at a few years ago. Absent from the 1817 meeting were Revs. John Matthews and Timothy Flint. Then, only four organized churches were in the presbytery: First Presbyterian Church, St. Louis; Bellevue Presbyterian Church, Caledonia; Buffalo Presbyterian Church near Louisiana; and Bonhomme Presbyterian Church, Chesterfield. Salmon Giddings, undated, RG 414. Since not enough members were present to conduct business at that first meeting 200 years ago, the Presbytery of Missouri adjourned and met up again on December 18, 1817, when three of the four ministers were present as well as Stephen Hempstead, an elder of First Presbyterian Church, St. Louis. This meeting assigned the ministers to the various churches and settlements. There were detailed instructions about requirements regarding communion, such as examinations and the use of tokens. The minutes of the Presbytery of Missouri from 1816 to the 1920s are at the State Historical Society of Missouri on the campus of the University of Missouri-Columbia. The Reverend Ed Wicklein is a retired Santa Fe Presbytery local church pastor and amateur historian who resides in metro St. Louis. He has researched and published local and ethnic church histories as well as taped oral history interviews. Having served on historical society boards, including the PHS board, he is now a volunteer on the history team of Giddings-Lovejoy Presbytery. Past and Present: Churches of the Presbytery of Giddings-Lovejoy, edited by C. Scott Letcher, March 2005. “Like Prairie Wildfire…Presbyterianism Spreads Westward.” A Story of the Presbytery of Missouri Union, 180 Years of Mission, 1817 to 1997, by Kenneth R. Locke and J. Joseph Trower, 1997. Settlement Patterns in Missouri, by Russel L. Gerlach, 1986. A People Called Cumberland Presbyterians, by Ben Barrus, Milton Baughn, and Thomas Campbell, 1972. 100 Years of Welsh Calvinistic Methodism in America, by Daniel Jenkins Williams, 1937. History of the Presbyterian Church in the State of Illinois, by A.T. Norton, 1879. In 2016, the history team of Giddings-Lovejoy Presbytery toured the Bellefontaine Cemetery, which holds many graves of notable Presbyterians such as William Clark and U.S. Senator Thomas Hart Benton, and graves of other historical figures including Adolphus Busch. The first Cumberland Presbyterian Church organized in Missouri was in 1819: the Antioch Church in Pike County, with Robert Morrow as pastor. It was soon followed by the organization of McGee Cumberland Presbytery, in which Rev. 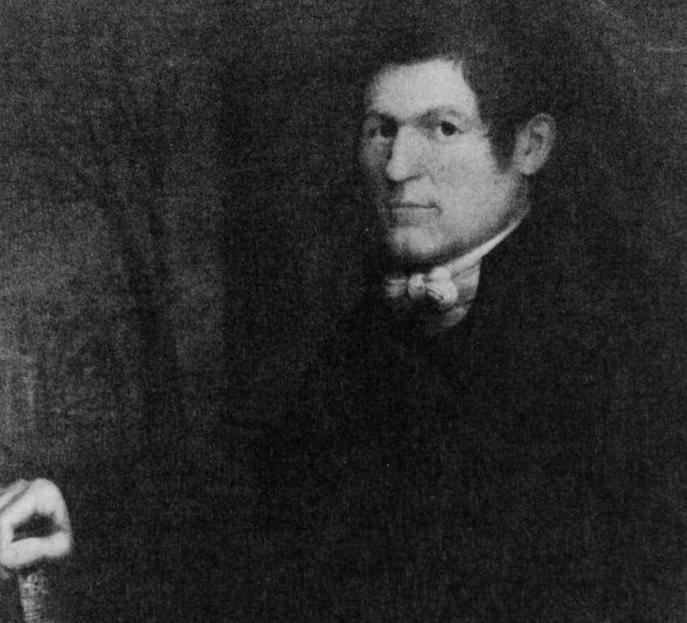 Finis Ewing, one of the founders of the Cumberland Church, was active. 1 hour 45 min ago. Happy #EarthDay from the Presbyterian Historical Society! Here is an image of the very first Earth Day in 1970 that comes from our collection of Religious News Service photographs. To view this image and read about the Presbyterian Church and it's involvement in environmental causes over the years, visit https://buff.ly/2GznHvN.